Within the framework of celebrating the 90th anniversary of foundation of the Republic of Karelia the enlarged session of the Council of representatives of the VI Congress of Karelians, executive board of the Congress of Karelians of the Republic of Karelia, took place in the Elias Lönnrot Finno-Ugric Secondary General School of Petrozavodsk. The authorities of the Perm Krai deceived the Maris of three villages and decided to turn the only Mari national comprehensive school into a primary school. Residents disagree with the decision and are fighting to save the school. 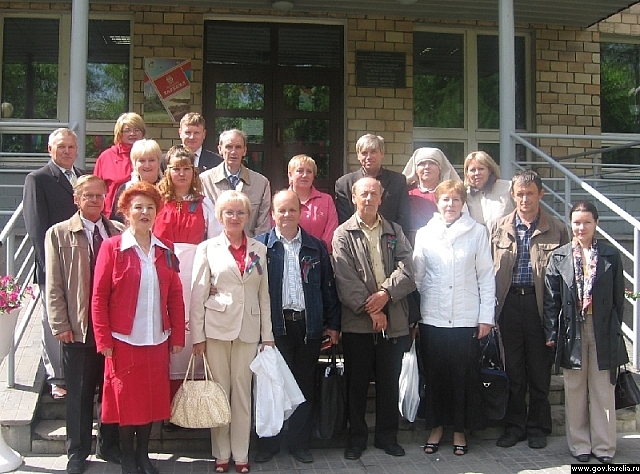 On 4 June, in the House of Culture of the village of Ivankovo, a general meeting of the Mari inhabitants of the villages of Ivankovo, Vaskino and Tebenyaki of the Sukson district of the Perm Krai was held. Here, the question of reorganizing the Vaskino comprehensive school, turning it from a comprehensive school into a primary school, was discussed.